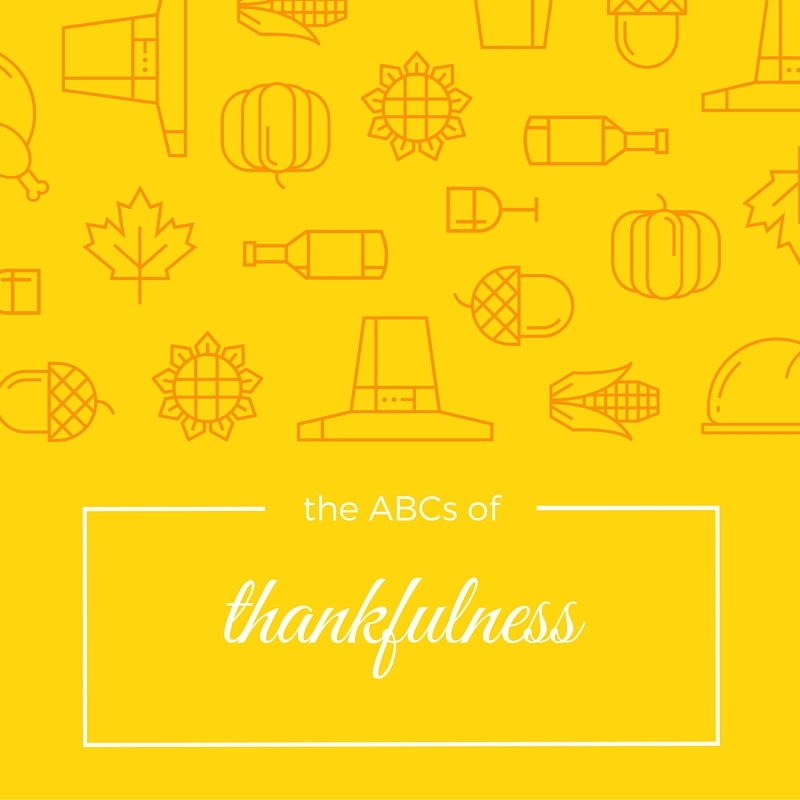 It’s just not Thanksgiving without the ABCs of Thankfulness. Originally found on Trish’s blog, this has been my Thanksgiving tradition since 2010, except for last year when I was traveling for the holiday. This year, I’m sitting at my mom’s sipping on a long-cold coffee, watching the second best part of Thanksgiving: the National Dog Show. Soon, I will be eating barbecue, with maybe a little bit of reading and crocheting thrown in as well. It’s a lovely, lazy day filled with food and family. This past year has reminded me just how much I have to be thankful for and 2016 is only going to bring more wonderful things. April. Big things are happening in April! I’m thankful for the month of April and looking forward to wonderful things. Books-on-tape. Audible! You are a life-saver. I drive all over Virginia for my job and having audiobooks makes the drives a little bit more fun. China travels. Michael and I are heading to China for Christmas and I’m so excited! I’m thankful for having the opportunity to travel. DIY. So far, my favorite part of planning a wedding has been making things and learning how to make of things. (Well, other than the food tasting… that was the best part.) Everything from teaching myself calligraphy to painting to some paper crafts I have planned for after the new year. Earl! 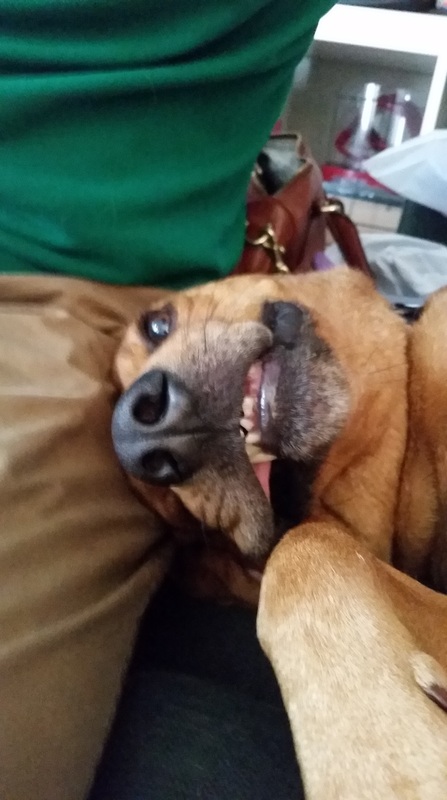 The best, goofiest pup in the whole wide world. I’m so thankful we adopted you last December. I can’t imagine my life without you. LOOK AT THAT FACE. JUST LOOK AT IT. Yup, that’s the same face. Family. Need I say more? I’m so thankful for my family, and especially for my little family with Michael and Earl. We’re a unit, a team, partners, friends. It’s the best. Grandmom. My grandmother was the best. Everyone loved her when they met her. I miss her every day, but lately I’ve been missing her even more. I’m so thankful that I got to spend as much time with her as I did and grateful to have a family determined to carry on her traditions. Home. Virginia is my state. I left it for a few years and I might leave it again one day, but right now I’m happy to be back. Mountains, bays, oceans, cities, and country. People from all over the world, history, and good weather. I’m sure other states have those things, but Virginia probably does it best. I’m just thankful to be back. Inside. This Thanksgiving, I’m so thankful for my space. It’s full of bookshelves and light and comfy couches. Joy. Pure, unbridled, uncomplicated joy. I’m so thankful when that happens. Kayaking. One day, I will be so grateful I own my own kayak. 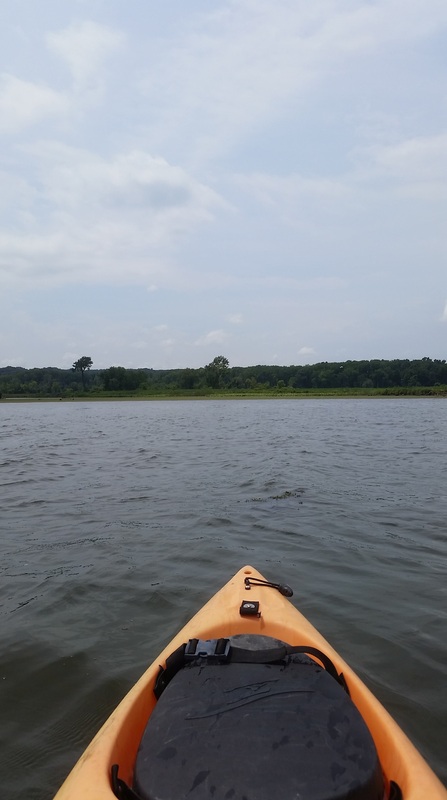 For now, I’m grateful that I live in a place where there are kayaks for rent and plenty of rivers to explore. Love. I love and I am loved. Mysteries. Thanks for being delightful reads. Nonfiction November! Thanks for keeping me blogging and for bringing together awesome bloggers to talk about fabulous books. Owly. Sure, I’ve picked owls almost every year, but I’m mixing things up this year, I’m going with Owly! 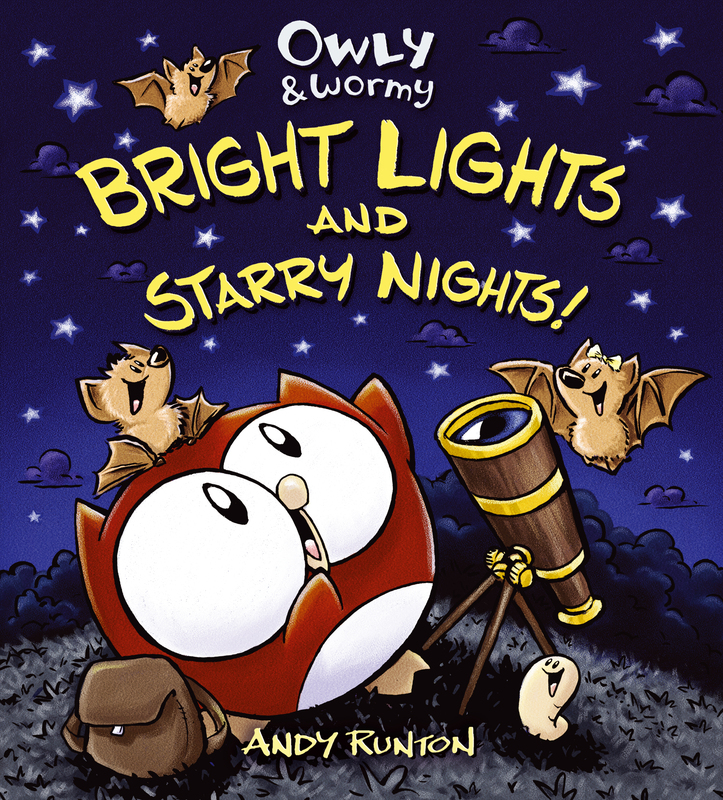 Only the cutest comic book/kids book of all time. Parks. There are some wonderful parks around my neighborhood and I’m just so thankful! Quiet. Sitting in the morning with my coffee after walking Earl, reading a few pages in my book before starting work. I’m so thankful for those moments. Reading. Wait, wait, wait. I’ve never used reading? How is that possible?! I’m so thankful for reading and all it has meant to me over the years. Songs. I’ve been putting together a playlist of love songs for cocktails/dinner and it’s just reminding me how beautiful a love song can be. I’m thankful for music and for long songs. Traditions. Thankful for the traditions we have and the ones we’ll make. Umbrella. Thanks for keeping me dry! Visitors. Nothing better than having people come stay for a visit. Walks. 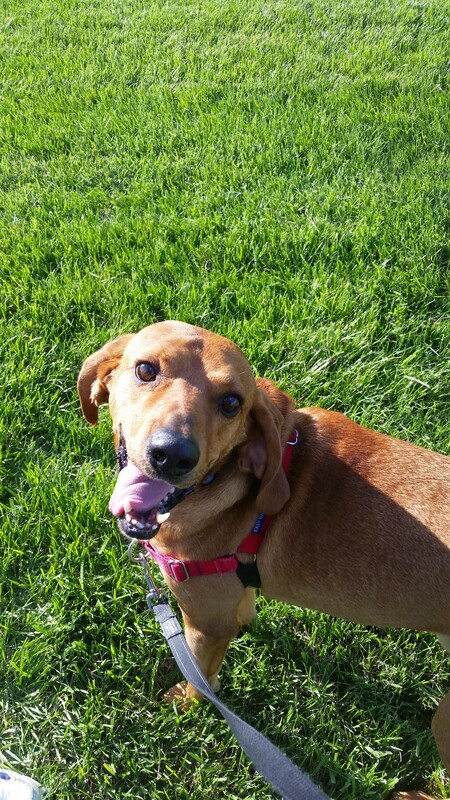 Thanks, Earl, for making me take two walks a day. X-stitches and all the other crochet stitches. I’m thankful for you! Year, New. Time to start fresh! 2016 will be the best. Z, love of my life, thank you for everything. I can’t wait for our next chapter! Welcome to Week 3 of Nonfiction November! This week we’re discussing Nontraditional Nonfiction and your host is Rebecca at I’m Lost in Books, so make sure you head on over to her blog and add your links! This week we will be focusing on the nontraditional side of reading nonfiction. Nonfiction comes in many forms. There are the traditional hardcover or paperback print books, of course, but then you also have e-books, audiobooks, illustrated and graphic nonfiction, oversized folios, miniatures, internet publishing, and enhanced books complete with artifacts. So many choices! Do you find yourself drawn to or away from nontraditional nonfiction? Do you enjoy some nontraditional formats, but not others? Perhaps you have recommendations for readers who want to dive into nontraditional formats. We want to hear all about it this week! Recently, I’ve been listening to more and more nonfiction on audio. Part of the reason is that I’m, in general, reading a lot more nonfiction, so it makes sense that my audiobook nonfiction reads would increase as well. But I’ve also just found that I really enjoy nonfiction on audio. I’m a captive audience in my car and I like spending that time learning about something new. The last audiobook I finished, though, I think is the best nonfiction audio I’ve listened to yet. I’m sure I would have been just as impressed with H is for Hawk by Helen Macdonald if I had read it, but it is one of those books where the audiobook adds to the story. It is a book I listened to because of Nonfiction November. I purchased it a few months ago, but it was near the bottom of my possible choices for audiobooks for this month. All that changed after the first week of Nonfiction November. So many people recommended it and I can’t thank you enough. 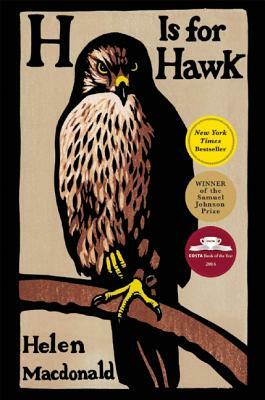 H is for Hawk is part memoir about the author’s grief after her father’s death and her experiences raising a goshawk, part a history of falconry as a sport, and part biography of the novelist TH White. It’s a book that tries to be many things and somehow succeeds at all, seamlessly weaving these three elements into a stunning book. What sets H is for Hawk apart as an audiobook is that it is narrated by the author herself. Authors are not actors and it’s not always for the best when they do the narration for their own books. (And, to be fair, it’s not always for the best when famous actors narrate audiobooks. I’m looking at you, awful audiobook version of The Great Gatsby read by Tim Robbins.) But Macdonald is a magnificent narrator and it adds an element to this memoir that I would miss in print. I think I am lacking the vocabulary to explain why this narration feels more powerful than other audiobook memoirs I have listened to in the past, so I apologize if this doesn’t make sense. There is not necessarily any overt display of emotion during the narration, but there are moments when Macdonald reads her own words in a way that it seems no one else could. Though the shifts in her voice and narration are subtle, you feel what she is feeling, and it makes the audiobook feel more personal. One benefit that print has over audio is the ability to reread particularly beautiful passages and to linger over perfect phrasing. I mostly listen to audiobooks when I’m driving, so it’s difficult to bookmark or go back and relisten to parts of audiobooks. It’s the one thing I wish I could have done listening to H is for Hawk. Not only is this memoir engaging for its story, but it’s beautifully written with evocative prose that I wish I could quote for you here. There are turns of phrase in H is for Hawk that feel wholly original and new that transport you immediately to the forests of England. I really can’t recommend H is for Hawk enough and I can’t recommend the audiobook enough. I have no doubt that it is one of my favorite books of the year. Nonfiction November Week 2 Round Up! What a great week! Everyone’s posts are incredible and my TBR is officially toppling over from all the amazing recommendations. This week’s theme was Book Pairings – a fiction book with a nonfiction book – and everyone definitely delivered! I hope that this encourages readers who might not think nonfiction is for them to find a favorite fiction book on this list matched up with a nonfiction book. I picked one pairing from each blogger or their general theme to list in this round up. Everyone went into detail or included more than one pairing, so don’t forget to read through the other participants this week! This week we will be focusing on the nontraditional side of reading nonfiction. Nonfiction comes in many forms There are the traditional hardcover or paperback print books, of course, but then you also have e-books, audiobooks, illustrated and graphic nonfiction, oversized folios, miniatures, internet publishing, and enhanced books complete with artifacts. So many choices! Do you find yourself drawn to or away from nontraditional nonfiction? Do you enjoy some nontraditional formats, but not others? Perhaps you have recommendations for readers who want to dive into nontraditional formats. We want to hear all about it this week! Thank you for another great week of Nonfiction November and we’ll see you next week! Nonfiction November – Week 2 – Book Pairings! Welcome to Week 2 of Nonfiction November! If you are just joining us, here is my introductory post detailing each week’s discussion topics and this wonderful roundup over at Kim’s blog, which highlights some of the great recommendations from all the participants last week. Remember, you can post any day this week, just remember to pop back to this post and add your link to the Linky below so I can share your post! Now! Onto this week’s topic. For the second week of Nonfiction November, we are discussing Book Pairings. The original intention of this week’s theme was put together a fiction book and a nonfiction book that go well together. If you decide to pair two nonfiction books together, that works too! It could be two (or more!) books you’ve read, one book you’ve read and one you have not, or two books that you’ve added to your TBR and want to read that you think will complement and inform each other. 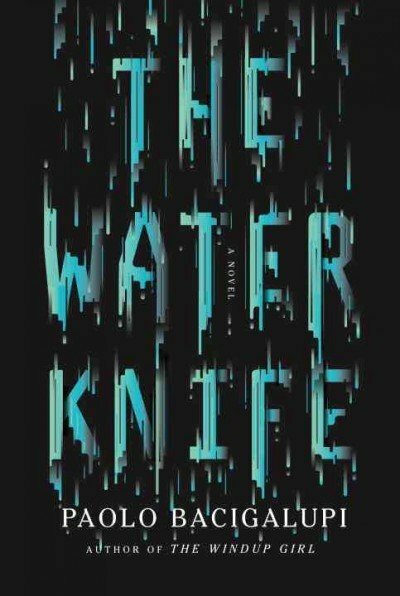 The Water Knife by Paolo Bacigalupi is easily one of my favorite reads of this year. It chronicles a western United States in the not-so-distant future that is barely hanging on. Texas has been abandoned for lack of water and refugees are traveling west to find new homes. The wealthy live in pristine gated communities and never worry about their water running out, but that means that someone has to fight for those water rights. A Las Vegas water knife, or a soldier who fights to secure water rights using any means necessary, is sent to the dying Phoenix to check up on a colleague who has been acting strange. There he crosses paths with a reporter who is on the brink of uncovering something dangerous and a Texas refugee just trying to survive any way she can. It’s a fast-paced, dark novel with incredible characters and fascinating world building. It is recognizably the United States and it feels possible, which makes it all the more terrifying. But the truth is, what I know about the real drought in California and climate change is pretty limited to what I read in headlines and short articles, so I thought I would put together a list of nonfiction titles I could read about the topic. The first thing I learned is that there are so many. It felt impossible to narrow it down! So I tried to pick books published in 2015, with two exceptions. Climate Change: A Very Short Introduction by Mark Maslin – This is my first exception. Published in late 2014, this is a part of Oxford University Press’s Very Short Introduction series and it seems like the perfect place to start when it comes to understanding a complex topic such as climate change. A Great Aridness by William Debuys – This was published in 2013, but the topic is right on point. A Great Aridness focuses on the Western United States and its future without water. According to the summary, this book discusses the future of the Colorado River as a major water source for the western US, which is a big plot point in The Water Knife. Reviews say the book is beautifully written and I’m looking forward to this one! The West Without Water: What Past Floods, Droughts, and Other Climactic Clues Tell Us About Tomorrow by B. Lynn Ingram and Frances Malamud-Roam – As the title suggests, this book seems to have a very similar focus to A Great Aridness, but I decided to leave it on the list, because it was published in 2015. I am also intrigued that this book seems to take the approach of looking at the climate history of the western US to predict what will happen in the future. Don’t Even Think About It: Why Our Brains Are Wired to Ignore Climate Change by George Marshall – Some of the recent studies about climate change that have been released are downright terrifying, but they don’t seem to mobilizing anyone to make to changes. This book looks at why, from a psychological point of view, it seems to be difficult for us to actually do anything about it and how to find common ground to actually come to a solution. It’s a very interesting way to look at the issue and definitely jumped out at me as a book I’d like to read. Betting the Farm on a Drought by Seamus McGraw – So we have one overview, two books looking at a specific region as a way of talking about climate change on a global scale, and one book about the psychology behind our reactions to climate change. This last book is about the human side of climate change. McGraw speaks to a wide range of people – farmers, fishermen, scientists and politicians – to get a portrait of the human impact of climate change with the hope of starting conversation and, hopefully, changing minds. I can’t wait to read your book pairings! Don’t forget to add your link to the linky below and check back on Friday to get a rundown of what everyone discussed! Happy Nonfiction November!! This week, we’re discussing how 2015 has been for our nonfiction reading, hosted by the wonderful Kim at Sophisticated Dorkiness. Don’t forget to head over to Kim’s blog to add your link! This has been an unusual reading year for me. Now that I don’t live in the city and I don’t commute for work, I’ve lost a big chunk of my reading time. A typical day for me in 2014 involved almost two hours of uninterrupted reading time a day on the subway. Now that my commute is from my bedroom to my home office, I’m having a hard time carving out the same amount of time to read! I’ve only read 44 books so far this year. A typical year for me has usually been well over one hundred. I don’t mind that I’ll probably only get to just over 50 books read for the year, but let me just say, it makes me so much pickier about what I read. And so much more upset when I read a book I didn’t like! 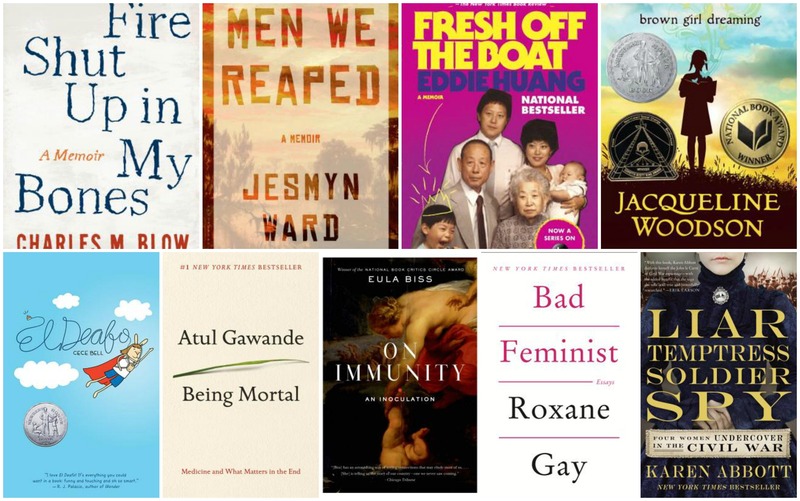 What is your favorite nonfiction read of the year? I was absolutely blown away by brown girl dreaming, Jaqueline Woodson’s memoir in verse. It’s a beautiful book of poetry, memoir, and shows that nonfiction can be more than just prose. It’s a powerful piece of writing. Being Mortal by Atul Gwande is also a powerful book about death and dying in the United States in three parts. I have to admit, this was a difficult book to listen to in some parts. The first section is all about the human body and the aging process. The second focuses on problems in the nursing home and assisted living industry and what can be done to increase quality of life in the last stage of life. Finally, GaMwande analyzes the ways medicine has failed the dying, especially those suffering from terminal illnesses. While Being Mortal was not always the easiest book to listen to, it’s the most important nonfiction books I read this year. What nonfiction book have you recommended the most? If we’re not just talking about books I’ve read this year, I’d say Parasite Rex by Carl Zimmer. It always, weirdly, seems to come up in conversations. Parasites are everywhere! What is one topic or type of nonfiction you haven’t read enough of? So much!! But this year, especially, there seems to be a lack of comics nonfiction in my reading. Unfortunately, my new library system is really lacking in the comics department. I usually read quite a few, but this year just one: El Deafo by Cece Bell. I also really want to read more biographies and history books. What are you hoping to get out of participating in Nonfiction November? Reading more nonfiction, of course, but also reading all of your blog posts! You always recommend such great nonfiction and I can’t wait to add to my ever-growing TBR. I’m currently reading And the Band Played On by Randy Shilts and up next on the TBR is I Am Malala by Malala Yousafzai for our readalong discussion. I’ve also downloaded The Worst Hard Time by Timothy Egan (a book I found out about through Nonfiction November), H is for Hawk by Helen Macdonald, How Star Wars Conquered the Universe by Chris Taylor, and Bird by Bird by Anne Lamott on audiobook. I doubt I’ll get to all four of those, but I do have quite a bit of work driving this month, so I should at least get through two. What about you? I can’t wait to read through your Nonfiction November posts this week! Be sure to stop by Sophisticated Dorkiness to add your link to the list so we don’t miss out. I’m so excited to relaunch Regular Rumination by announcing that once again I’ll be co-hosting Nonfiction November along with Kim of Sophisticated Dorkiness, Katie of Doing Dewey, and Rebecca of I’m Lost in Books. 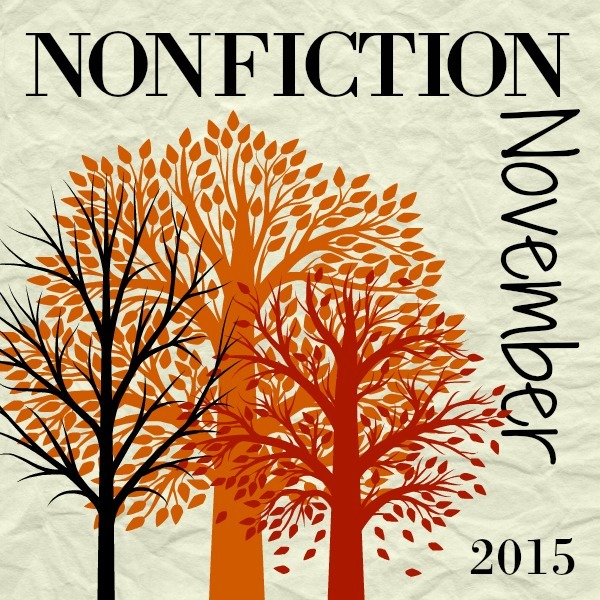 Nonfiction November is a month full of celebration for all things nonfiction. For the month of November, each week we will discuss a different topic about nonfiction. We’ll also be doing a group readalong of I Am Malala by Malala Yousafzai and Christina Lamb, which we’ll discuss at the end of the month. Week 1 (November 2-6) – Your Year in Nonfiction hosted by Kim – Take a look back at your year of nonfiction and reflect on the following questions – What was your favorite nonfiction read of the year? What nonfiction book have you recommended the most? What is one topic or type of nonfiction you haven’t read enough of yet? What are you hoping to get out of participating in Nonfiction November? Week 2 (November 9-13) – Book Pairing hosted at Regular Rumination – This week, pair up a nonfiction book with a fiction title. It can be a “If you loved this book, read this!” or just two titles that you think would go well together. Maybe it’s a historical novel and you’d like to get the real history by reading a nonfiction version of the story. Week 3 (November 16-20) – Nontraditional Nonfiction hosted by Rebecca – This week we will be focusing on the nontraditional side of reading nonfiction. Nonfiction comes in many forms There are the traditional hardcover or paperback print books, of course, but then you also have e-books, audiobooks, illustrated and graphic nonfiction, oversized folios, miniatures, internet publishing, and enhanced books complete with artifacts. So many choices! Do you find yourself drawn to or away from nontraditional nonfiction? Do you enjoy some nontraditional formats, but not others? Perhaps you have recommendations for readers who want to dive into nontraditional formats. We want to hear all about it this week! Week 4 (November 21-27) – I Am Malala Read Along Discussion hosted by Katie –This week we’ll be wrapping up Nonfiction November with a discussion of our read-along book, I Am Malala by Malala Yousafzai and Christina Lamb. Discussion questions will be posted at the beginning of the week on November 23. In your post, you can answer these questions and/or write about your own response to the book. As you read throughout the month, you can share your thoughts on twitter using the hashtag #NonficNov. Again this year, Bex (An Armchair By the Sea) is hosting a Nonfiction Book Swap to go along with Nonfiction November. The book swap is open internationally and participants should make a nonfiction only wish list. Sign ups are open until November 8, but head over to her blog for all the details! I’m so excited to be back and I’m so excited for Nonfiction November to kick off! I hope you are too. In “Prototype,” the first poem in Doll God by Luanne Castle, the first lines state: “it began/a mirror for good.” Throughout Doll God, the living and the breathing, memories, are reflected on objects. Everything is fleeting, but what remains? Do the objects we hold dear have something like a memory of us? The first poems are full of dolls: Barbies, Polly Pockets, American Girls. Chubby cheeked doll babies and buggies. “Pastoral” takes this thread to the literal, when the speaker finds a discarded doll in the mud, “I know the mud will dry./If I leave her here, the earth/will begin its work./In a few more rainstorms/no sign will remain.” The speaker goes on to lament that there is no point in trying to salvage the doll: its ruined, with no one left to love it. stranded our little brothers on the raft across the lake. as guppies: Leah, Luanne, the lake. The lake itself is called Three-Lakes-in-One. I’ve already used this word once, but I do think that there is a profound anxiety behind many of these poems. What is left of the dead? The things they cared about? The art they created? Nothing but their physical remains? Doll God is grasping for answers to unanswerable questions. But isn’t that what poetry is for? This post is part of a blog tour for Doll God by Luanne Castle. You can read more about this tour, including links to the other tour stops at Poetic Book Tours.